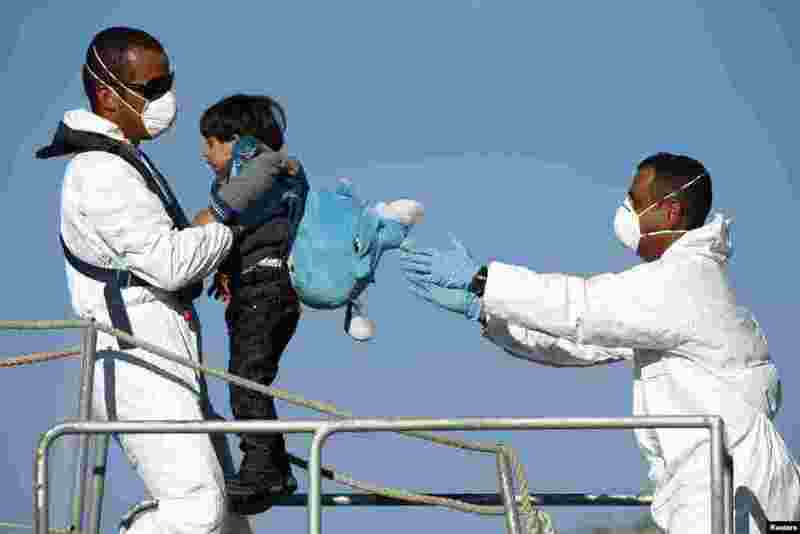 5 Armed Forces of Malta (AFM) sailors disembark a would-be immigrant child from an AFM offshore patrol vessel at the AFM Maritime Squadron base at Haywharf in Valletta's Marsamxett Harbour, Malta. 41 immigrants, claiming to be Syrians and Palestinians, were rescued from a boat in distress 89 nautical miles south of Malta in a joint operation between Maltese and Italian forces, according to army sources. 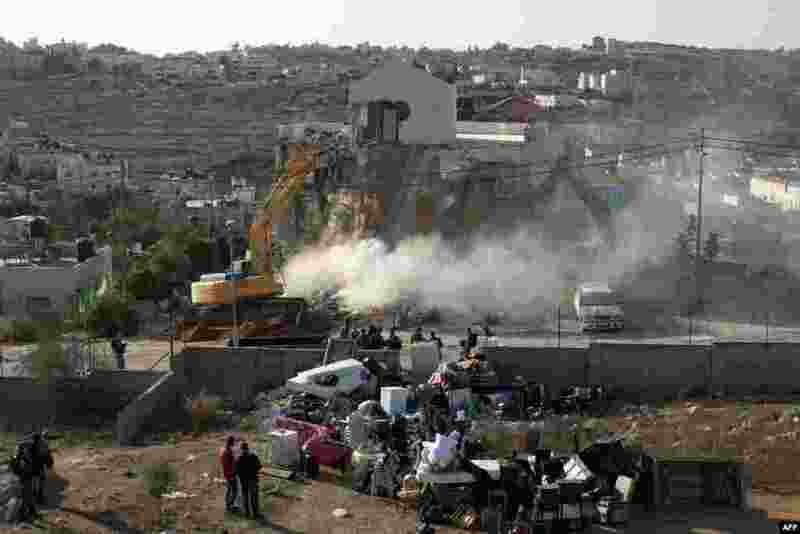 6 An Israeli municipality worker uses a mechanical shovel to demolish a house, belonging to a Palestinian family, that was built without municipal permission in the Arab east Jerusalem neighborhood of Beit Hanina. 7 Mickey Gray cleans snow from the deck of his home overlooking Serene Lakes near Soda Springs, California, Oct. 28, 2013. As much as 10 inches of snow fell in the Sierra Nevada near Donner Summit overnight. 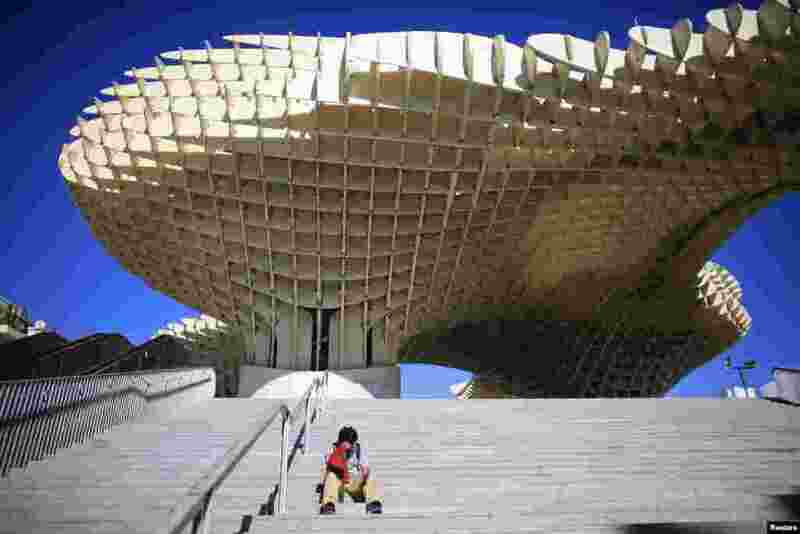 8 A man reads on the stairs in front of the world's largest wooden structure "Metropol Parasol" in the Andalusian capital of Seville, southern Spain.